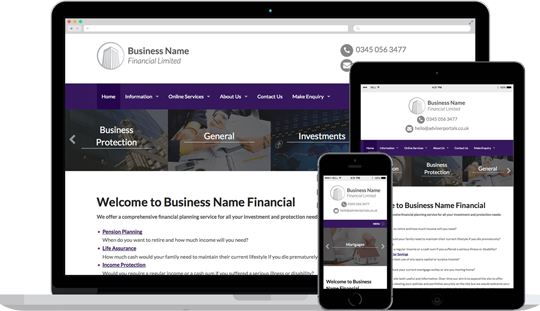 Adviser Portals can provide your business with a professional, compliant and cost effective web presence, packed full of information, tools and features. Just some of the great features available on our 'Centro' website platform. A secure and safe web is the future. That's why your website traffic is encrypted over HTTPS by default. Will you provide the answers or let your clients find them elsewhere? The only thing worse than no enquiries is a vague or incomplete enquiry. Our GDPR compliant structured contact forms do things differently. All of our content for one low monthly price. Adviser Portals operate a refreshingly simple pricing structure which offers total transparency.